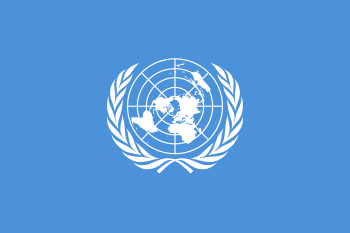 The United Nations Security Council (UNSC) has adopted resolutions concerning North Korea relating to the Korean War in the 1950s, in 1991 relating to North Korea's accession to membership in the United Nations (UN), and through 1990s–2010s in relation to the North Korean missile and nuclear program. 1 2 Weller 2015, p. 478. 1 2 3 Weller 2015, p. 494. 1 2 3 4 5 Wellens, Karel C., ed. (1990). Resolutions and Statements of the United Nations Security Council: (1946–1989) ; a Thematic Guide. Dordrecht: BRILL. p. 251. ISBN 0-7923-0796-8. 1 2 3 4 5 6 7 8 9 10 11 12 13 "UN Documents for DPRK (North Korea): Security Council Resolutions [View All Security Council Resolutions]". securitycouncilreport.org. Retrieved 2 October 2015. ↑ Sengupta, Somini; Sang-Hun, Choe (2 March 2016). "U.N. Toughens Sanctions on North Korea in Response to Its Nuclear Program". The New York Times. Retrieved 3 March 2016. ↑ "El Gobierno apoyó las sanciones del Consejo de Seguridad de la ONU a Corea del Norte por realizar pruebas nucleares". La Nacion (in Spanish). 2 March 2016. Retrieved 2016-03-03. Weller, Marc, ed. (15 January 2015). The Oxford Handbook of the Use of Force in International Law (1 ed.). Oxford: OUP Oxford. ISBN 978-0-19-165391-9.